How does that Shakespearean quote go? “Though she is little, she is fierce.” Once Pluto goes retrograde this Sunday (and will stay that way until September), we’ll come to understand the full truth of that sentiment. Technically classified as a dwarf planet, Pluto remains as influential as the rest of the outer planets (Jupiter, Saturn, Uranus, and Neptune). And though its effects may seem subtle, they’ll be hard to miss while this small-yet-fierce planet is enjoying its annual backspin. Where Mercury retrograde’s effects are akin to stubbing your toe — it’s jarring in the moment, but fortunately doesn’t last too long — Pluto retrograde feels more like sitting in a jacuzzi that’s slowly heating up: We might not feel it immediately, but as time goes on we’ll become increasingly aware of its presence and what it wants us to address. The issue we’re expected to face during this five-month period is how we use and claim our power. This could lead you to question how much power you invest or perceive in your identity. You may realize your problems with power have more to do with your need to control your everyday life (your routine, your finances, even your friends, and family). You might decide it’s time that you start asserting yourself in situations where, before, you may have felt powerless. Naturally, questions that touch on our relationship with power are extremely important — but understandably daunting to tackle. That’s why Pluto retrograde sticks around for so long. His planetary period urges us to dig deep into our relationship with power and, first and foremost, sit with it. The longer we reflect, the more in tune we’ll become with how our sense of empowerment affects the rest of our lives, from our self-confidence to our friendships. Given enough time to reflect, we may find the courage to reckon with and even change our approach to control and power. Maybe you’ll find a way to use your power to amplify the voices of those with less. Or, you might realize that seeking to control everything in your life is actually to your overall detriment. 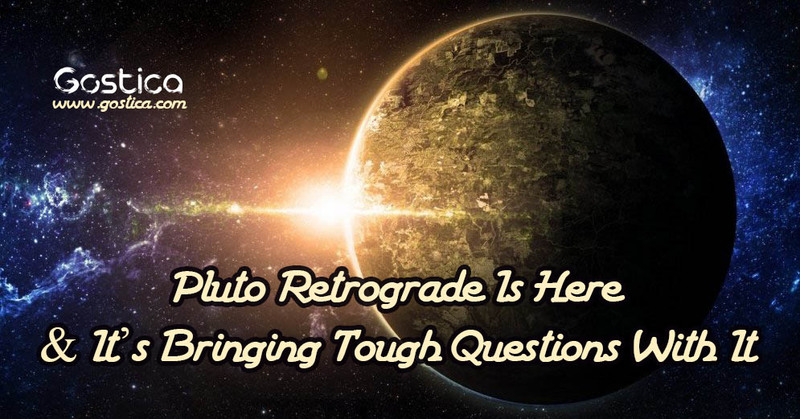 Ideally, you’ll end Pluto retrograde with a better understanding of where your power is best used — and where you can actually loosen the reins a bit. Like we said, these can be hard truths to face up to, so take it at your own pace. And don’t forget: Slow-and-steady Saturn is also retrograde until September, so any hope of rushing through this Pluto backspin is probably out the window.